Bedford Blues chairman Geoff Irvine has criticised the RFU after they ignored ‘player welfare’ when his illness-addled team was not granted a match postponement against London Scottish recently. 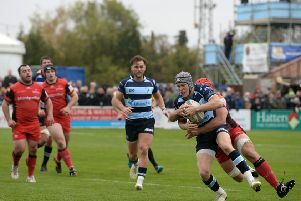 Rumours had circulated since Bedford’s 26-23 defeat to Scottish at Goldington Road on Saturday, September 29, that the Blues had asked for the game to be postponed. A few players had come down with a sickness bug which left them extremely dehydrated and lacking energy – by Friday, September 28, that number had risen to 14. Irvine said: “As chairman...I believe our supporters deserve some clarification. 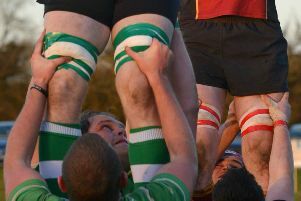 As the situation became more desperate we contacted the RFU to see whether it was possible to postpone the game, much like London Irish had done when they were unable to secure accommodation in Jersey for their game on September 15. “With 14 players sick as well as injuries to Pat Tapley, Mark Flanagan, Harry Sheppard, Will Hooley, Justin Blanchet, Harry Davies and Camilo Parilli-Ocampo, we felt this was an extraordinary situation that met the criteria for a postponement. “Unfortunately, our request was declined, despite the risk of infecting the opposition players and the bug spreading further. “As such, (coach) Mike (Rayer) assembled a squad of players who gave everything despite being far from 100 percent. “They left everything out there and came so close to pulling off an unlikely win which would have seemed impossible if you had seen them during the week. For that, I can only thank the lads for their courageous efforts and never-give-up attitude. “I am, of course, very disappointed that player welfare was not considered more important by the powers-that-be and our players were unable to recover fully from the bug which went around the camp.